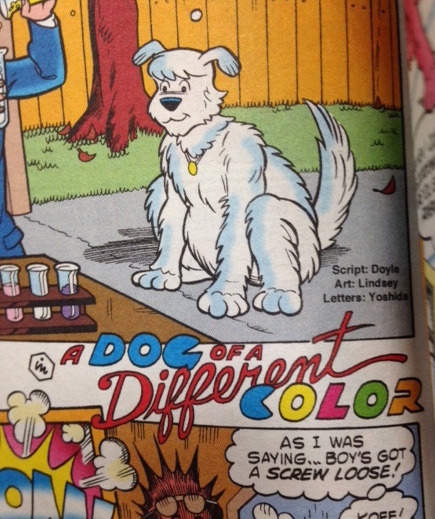 Archie Comics does a great job of repackaging their past comics, but unfortunately sometimes the reprint department lets incorrect writing credits on stories slip through, so I like to set the record straight whenever I spot an error. This week’s release is Jughead and Archie Jumbo Comics Digest #21 (which, by the way, is spotlighted in the current Riverdale Podcast! ), and it contains a number of my past stories — a couple of them credited to other writers, so let’s fix that. 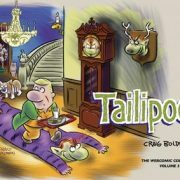 Apologies to my pal Dan Parent, my story “Play Toy” gets blamed on him. 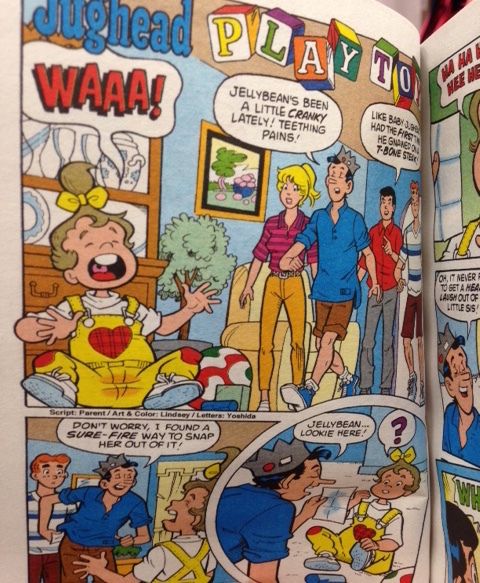 It’s a little tale about Jughead entertaining his infant daughter with Reggie’s image. I can’t spot anything here that would make anyone think Dan — The art’s by Rex Lindsey, who is my usual partner on these things, so who knows how the mistake happened? 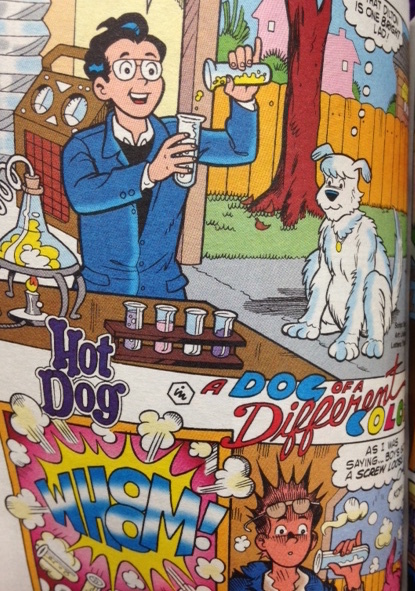 Also drawn by Rex Lindsey is this one, in which Jughead’s pet Hot Dog gets dyed pink. Whoever listed the credits might have been fooled by the fact that this isn’t a Jughead story, strictly speaking, even though it originally appeared in the Jughead comic book. 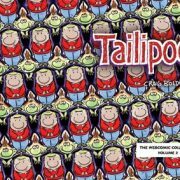 Anyway, I can only take it as a great compliment that somebody thought this story was written by the late, great Archie writer Frank Doyle. But it wasn’t. It was only written by me. Here’s a panel from another of my (properly credited) stories in the issue. 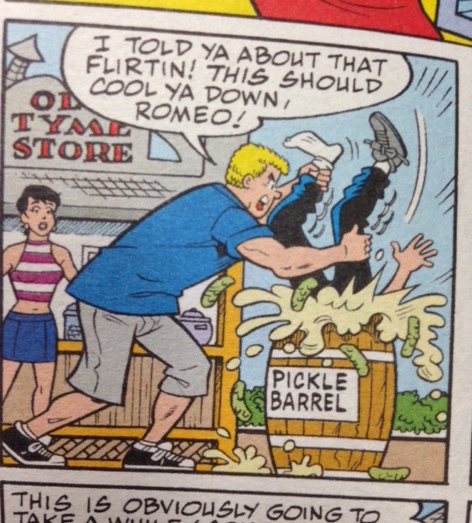 I don’t suppose it’s proper to laugh at your own jokes, but this picture of Moose dunking Reggie in a pickle barrel got a chuckle out of me. These stories were written long enough ago that I often don’t remember much about them, so I can surprise myself once in a while. 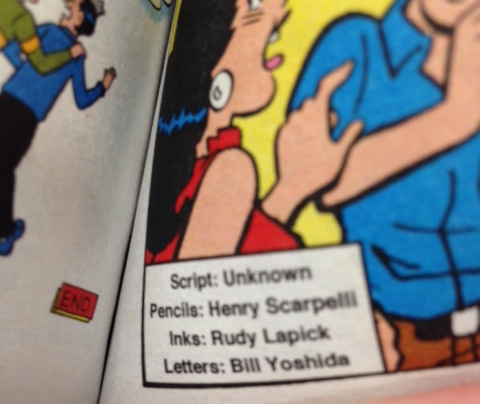 Lastly,I had nothing to do with the story in this pic, but I wanted to include it here because of the way the writing credit is presented: ‘Script: Unknown.’ I’d like to see that more often, if there’s any doubt as to the authorship — rather than getting some incorrect information into the public record. 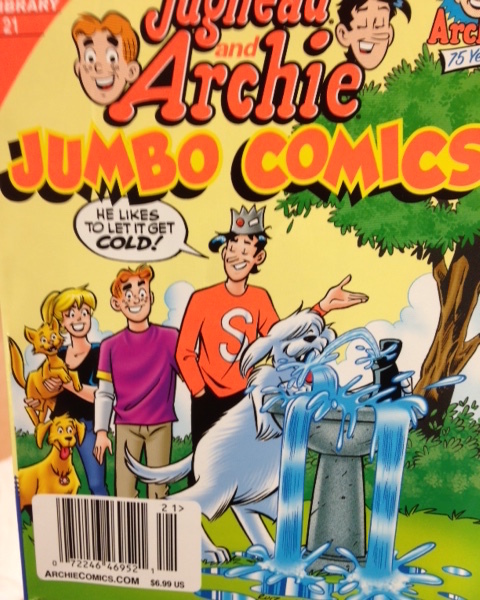 If you enjoy my Jughead stories, Jughead and Archie Jumbo Comics #21 is a good chance to get a handful of them under one cover. 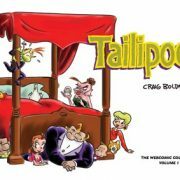 Previous PostBozo!Next PostHeckle and Jeckle!